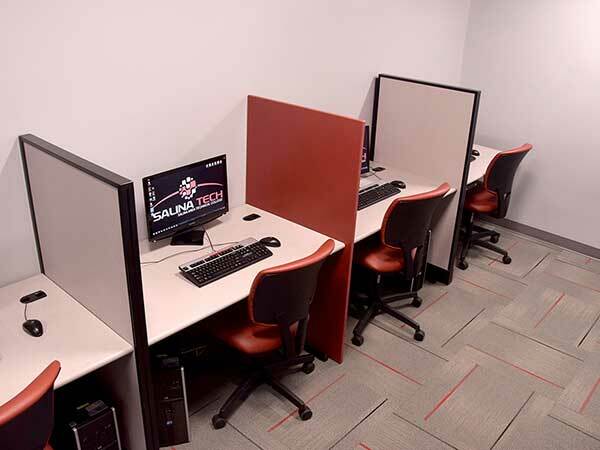 Salina Area Technical College provides a variety of learning resources to help students be successful in the newly renovated computer lab and testing center located in Building A. 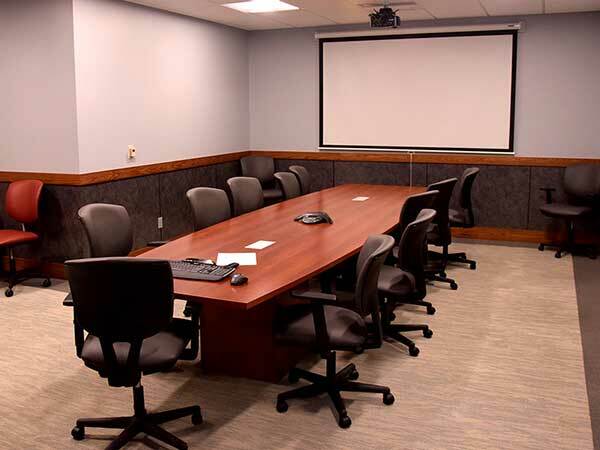 The lab is open from 8:00 am – 5:00 pm M-F while school is in session. Summer hours are 7:00 am – 5:00 pm M-TH. The lab consists of 24 computers with Internet access. Twenty-two (22) computers have the Microsoft Office 2013 Suite. We also have designated computers with program specific software used in the Computer Aided Drafting Program. If you have any questions, please contact Lara Duran, Educational Services Coordinator, at 785-309-3111 or lara.duran@salinatech.edu. You can also call Shonell Edwards, Testing Services Specialist, at 785-309-3136 or shonell.edwards@salinatech.edu. Library Services Each program at Salina Tech has a library or shared library with print materials for student use. 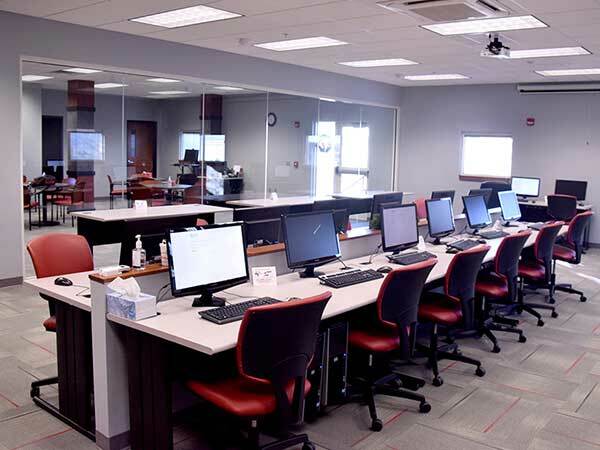 Students also have the option of using the electronic library in the Learning Resources Lab or using the State of Kansas online library. Please visit the library page for more information. Assessment Testing All applicants for admissions are required to take the college assessment test. Salina Tech uses ACCUPLACER for assessment testing. The tests are free for students attending SACT and takes approximatey two hours to complete. Students wanting to take the ACCUPLACER assessment for admissions to another college may test onsite and pay a $10 transfer fee. Please visit the testing services page for more information. Learning Resources If students need help with homework or just need a quiet place to study, they can come to the Learning Resource Lab (Room A1218). 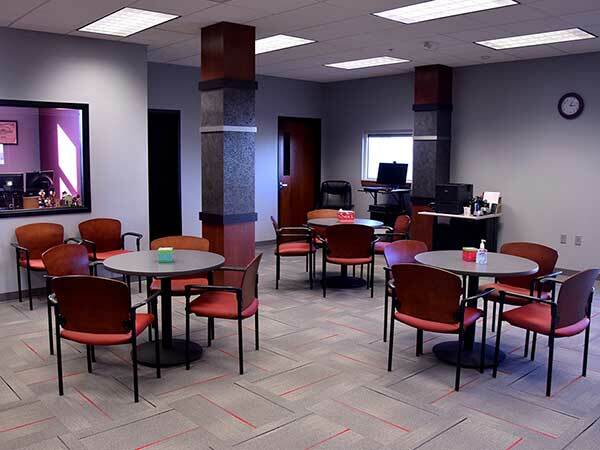 The Learning Resource Lab is open from 8:00 a.m. until 5:00 p.m., M-F school is in session. Summer Hours are 7:00 am – 5:00 pm M-TH. Students may request time outside this timeframe if needed. Tutoring Services Tutoring assistance is provided by our Educational Services Coordinator. Tutoring can consist of one-on-one sessions, group discussions, or a peer mentor. Tutoring is free.